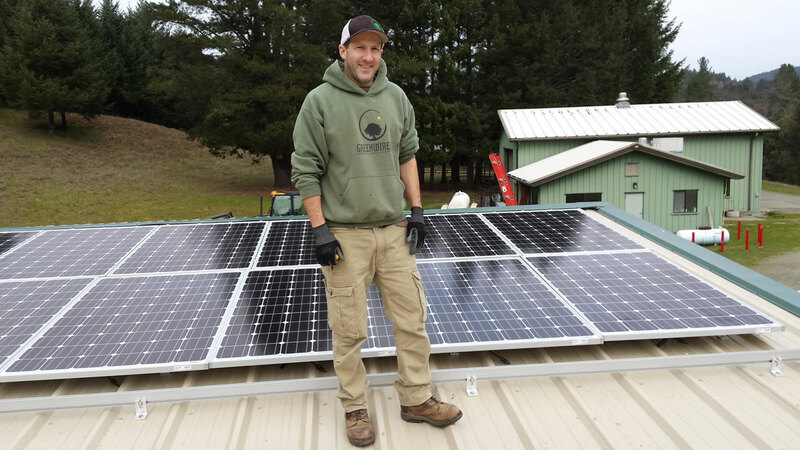 Serving Humboldt, Mendocino, Del Norte and Trinity counties, here are a small selection of the hundreds of solar projects completed by Greenwired since our beginning in 2006. 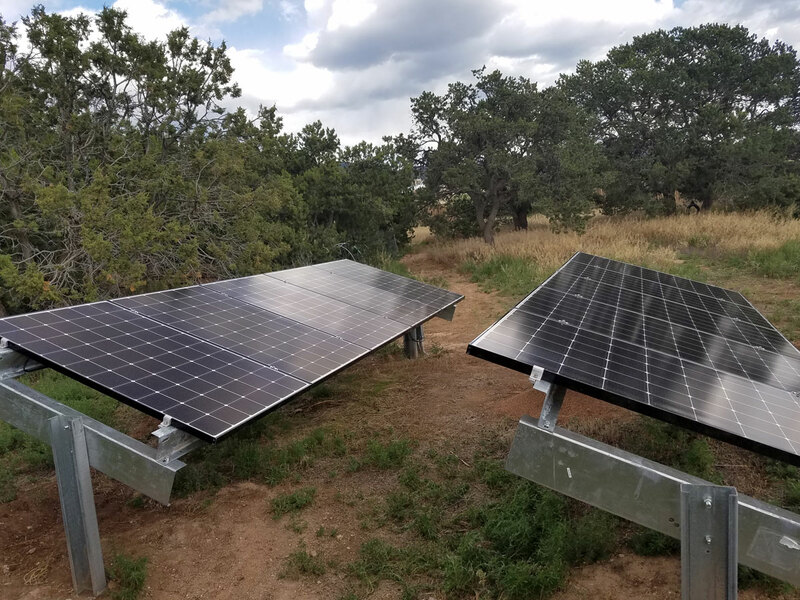 From Fort Bragg to Crescent City, Laytonville to Weaverville, and all the winding mountain roads in between, projects range from solar powered water pumping, to micro grids powering off-grid communities. 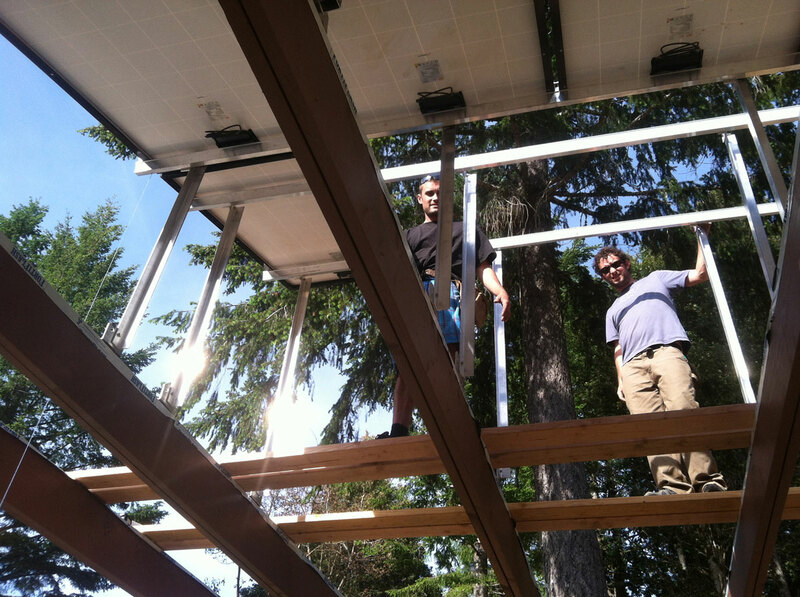 Whether you just need a few solar modules added to your off-grid home, want to offset your electricity bill while generating your own clean energy, or need a commercial grid-tied power production facility, our skilled team of systems designers and installers can get your project done right! Check out the photos and feel free to contact us with questions you might have. 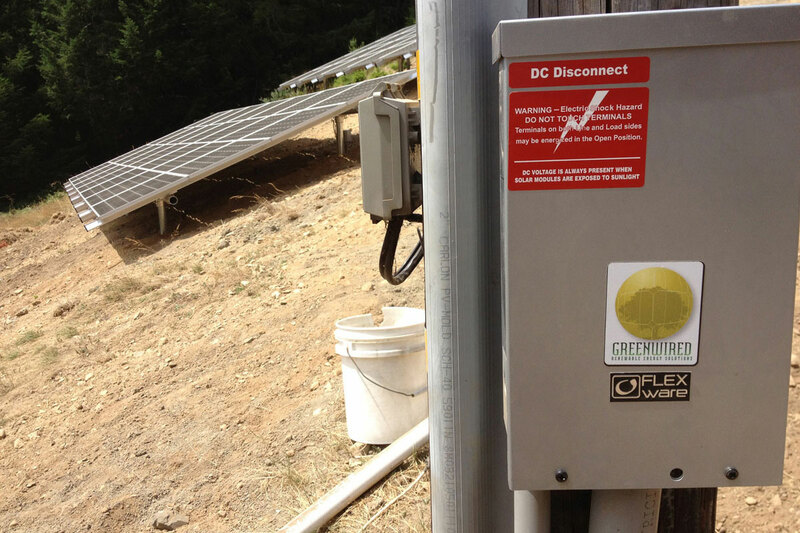 Whitethorn, CA: A 20 kW ground mount grid-tied system powering the home and operations of a local Quince farm. 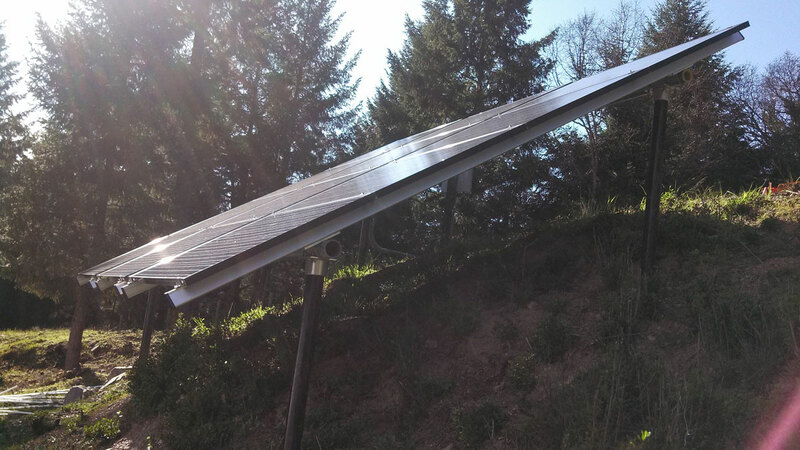 Freshwater, CA: Providing clean energy with a 6.5 kW grid-tied system for this sunny home. 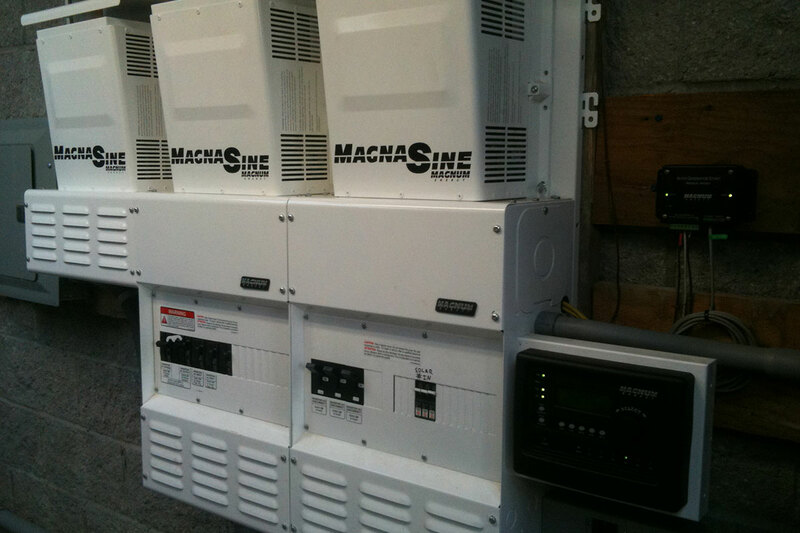 Redway, CA: Racking and micro inverters going in on a 40 kW grid-tied array on the Dazey's Supply building. 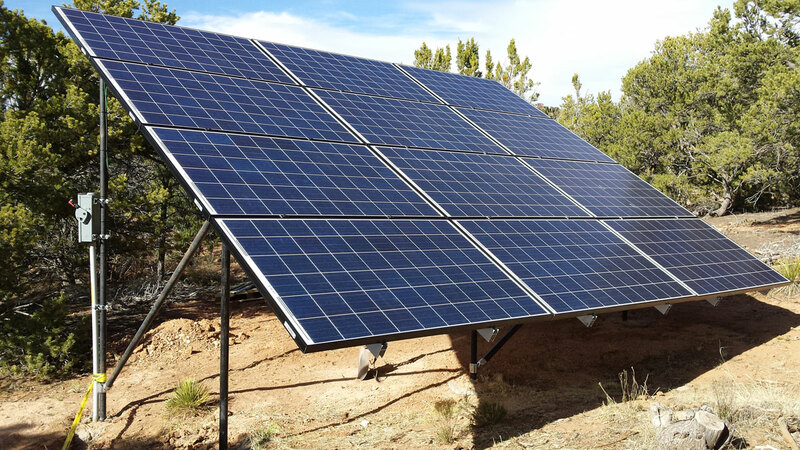 Whitethorn, CA: Kye, installing a grid-tied solar system for a BLM fire station. 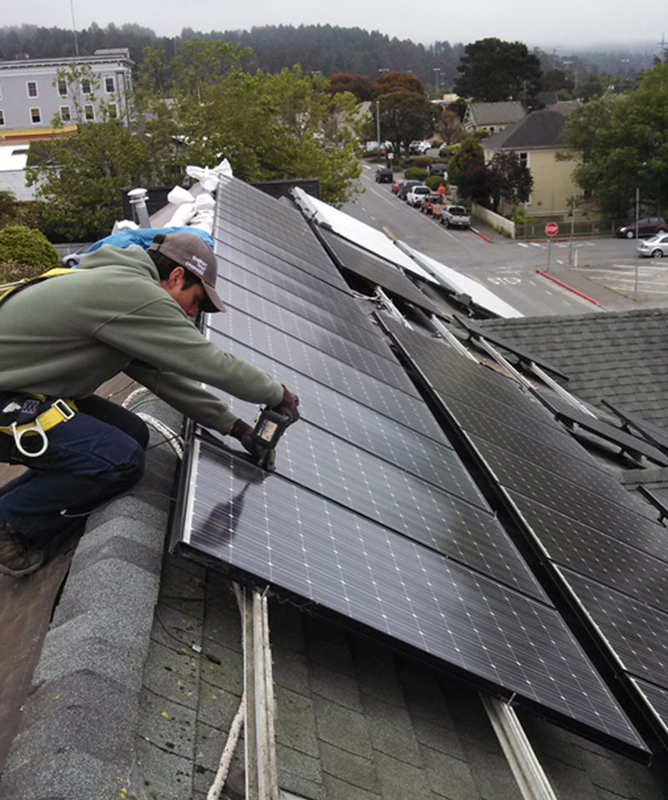 Arcata, CA: Removing a solar array to prepare for re-roofing (solar array was re-installed once the new roof was complete). 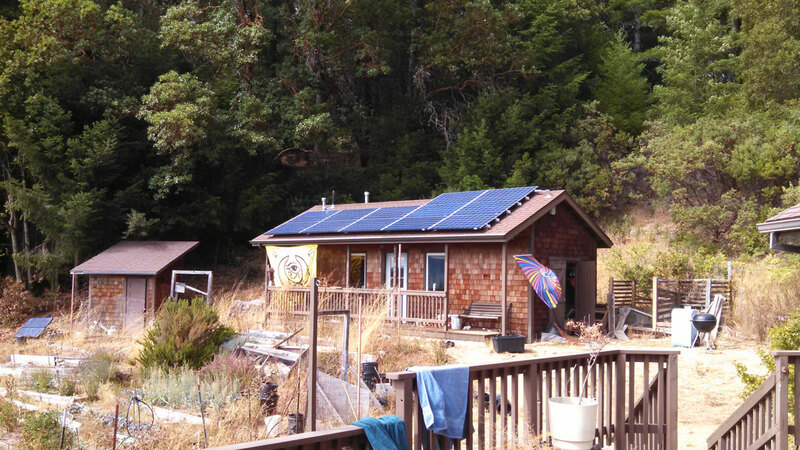 Fortuna, CA: Squeezing solar in where it works, for this off-grid home. 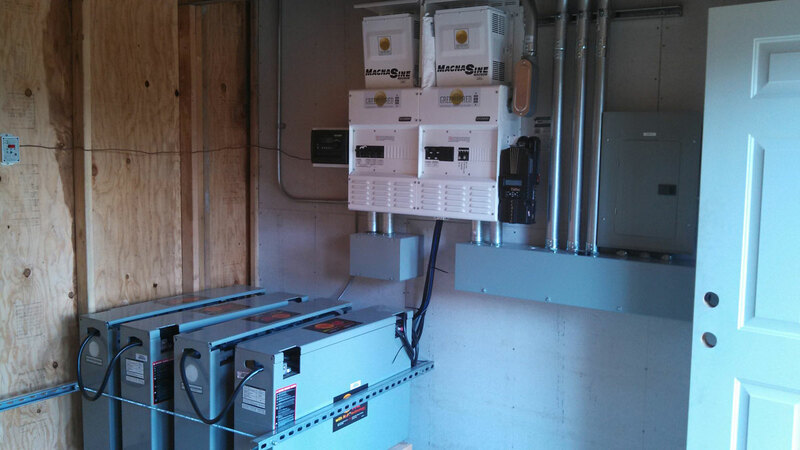 Benbow, CA: This 3.5 kW system powers a small homestead. 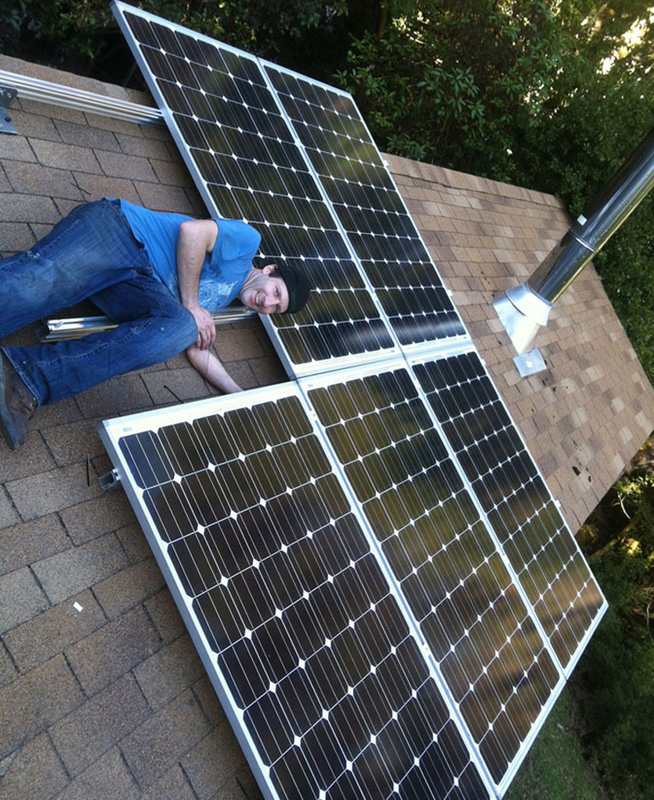 Salmon Creek, CA: Integrating new with old, Greenwired added a new array of modules to complement the older modules (shown in back) to power an off-grid home. 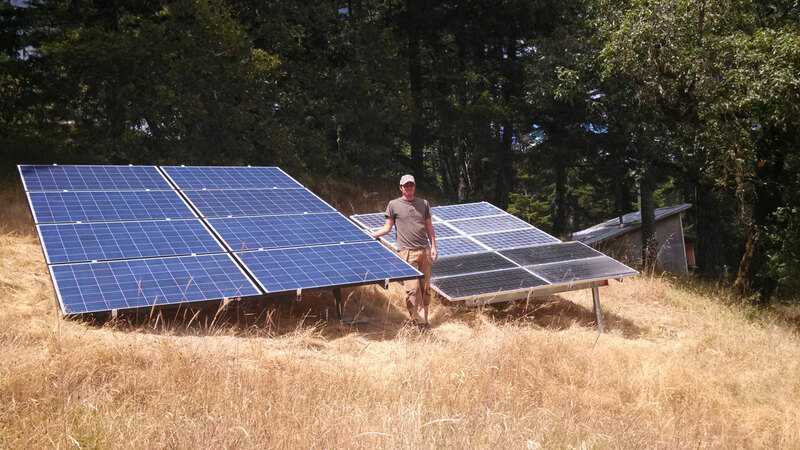 Redwood Valley, CA: 8 kW of inverters + ~48 kWh of battery storage, for a micro-grid powering multiple homesteads. 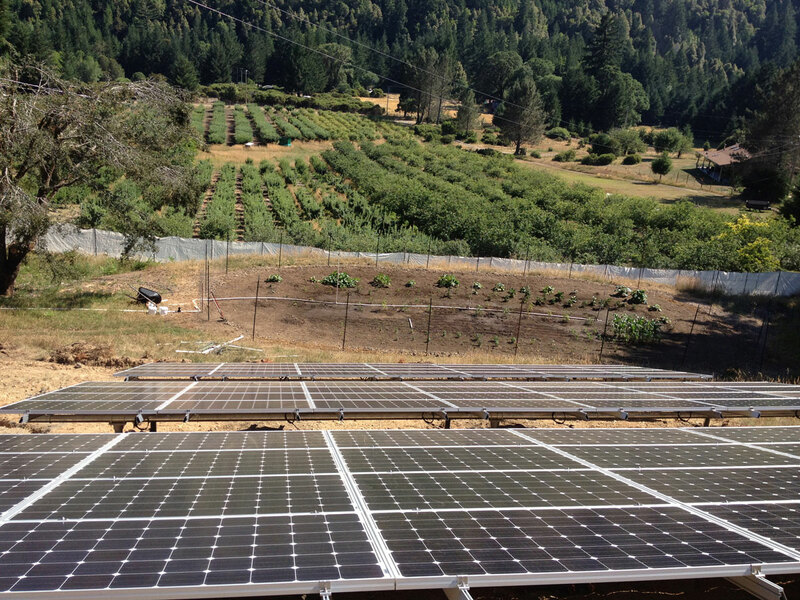 Honeydew, CA: A 12 kW power center for a micro grid powering a farm community. 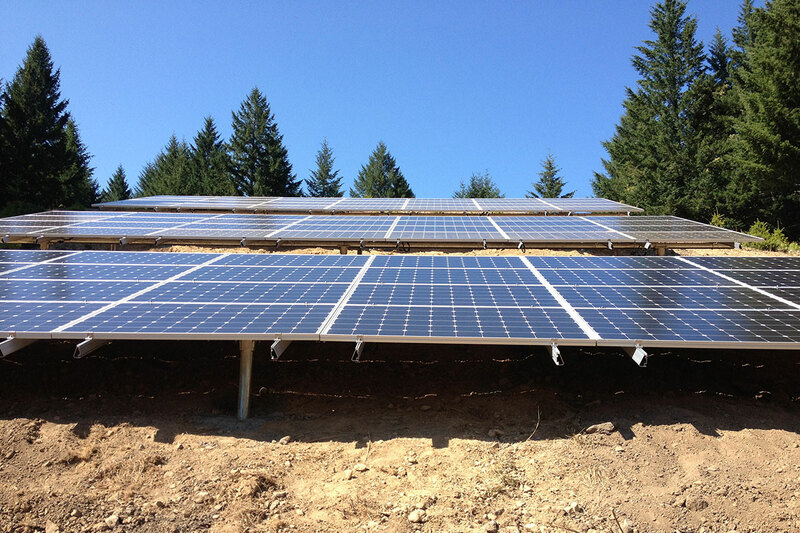 Orleans, CA: Putting a steep south-facing slope to use by installing solar for an off-grid farm. 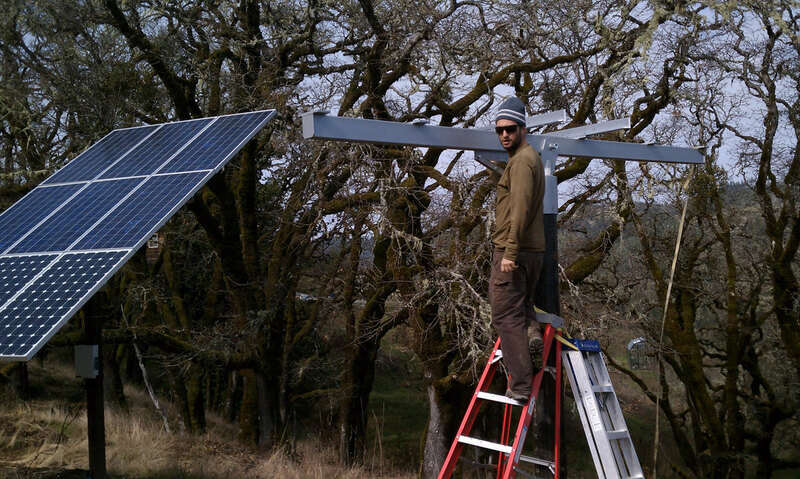 Salmon Creek, CA: Matty, adding more solar to an off-grid home. 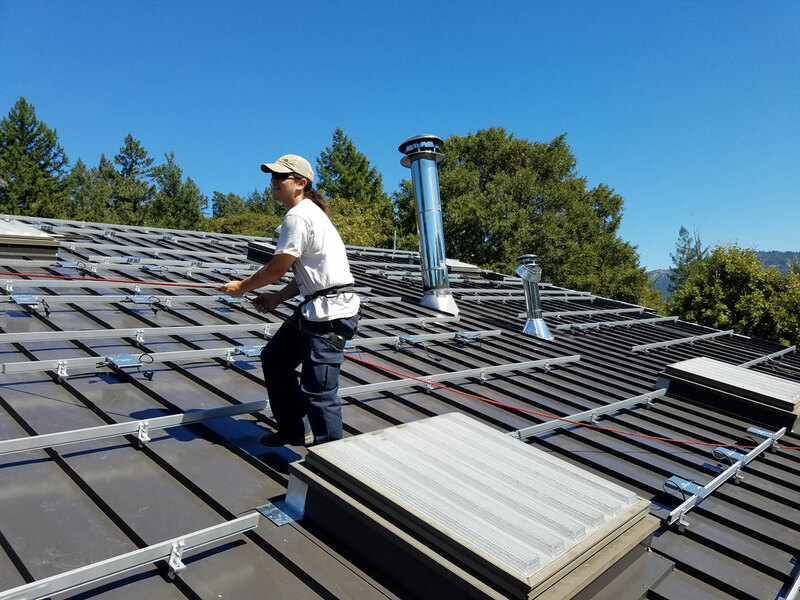 Laytonville, CA: Installing a custom solar shade structure - providing power to the homestead while creating a comfortable shaded patio. 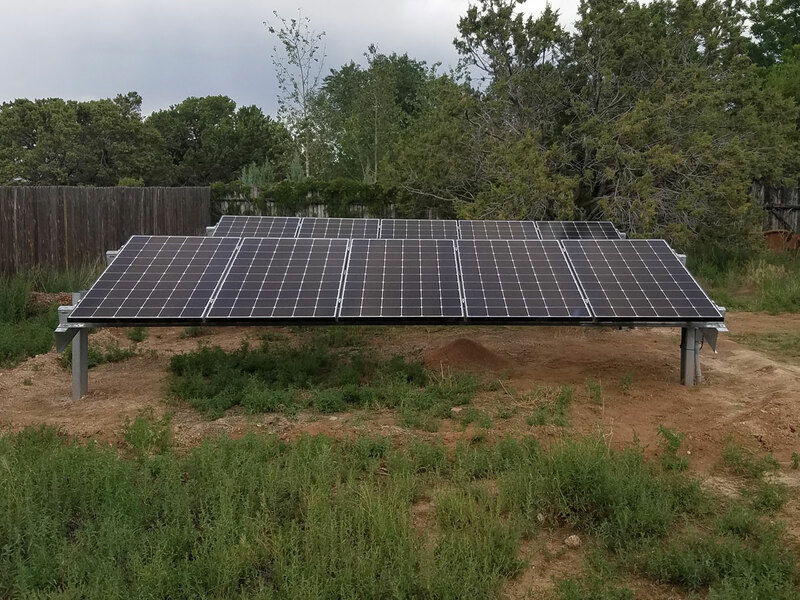 In 2015, Greenwired expanded our service area to northern New Mexico and southern Colorado, where Dan spends part of the year. Here you can see a couple of projects Dan put together for family and friends.